Are you looking for the ride and feel of a pickup truck but don’t need the bed space? 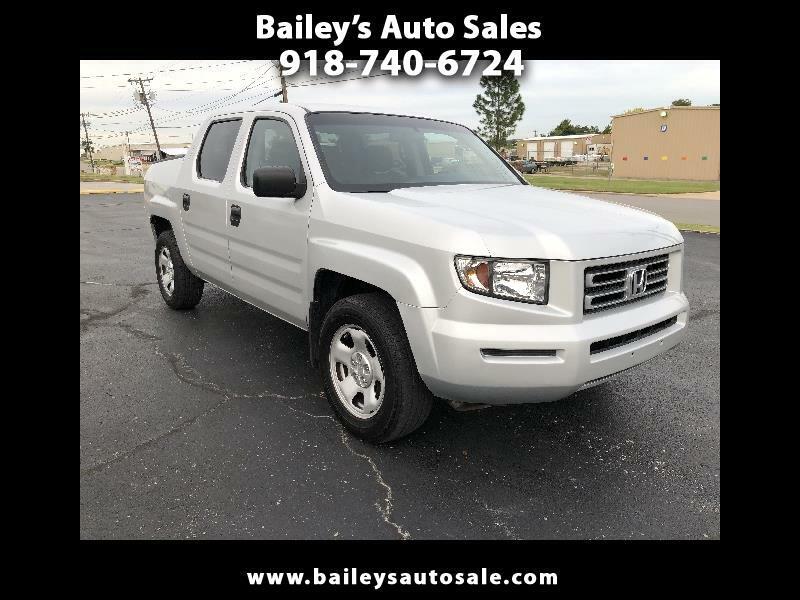 Then this 2007 Honda Ridgeline RT is the truck for you. This truck offers a spacious interior, sleek body, maneuverable with a smooth quality ride. You will find all the best attributes Honda has to offer in a pickup truck. From nightlife to your daily errands and destinations in between this truck will get you there.